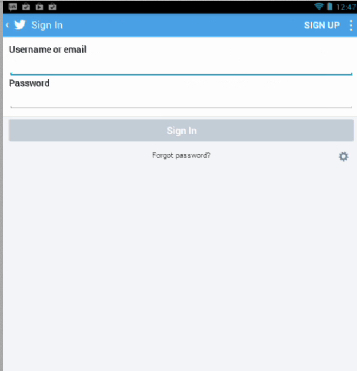 In this tutorial, you will learn how to change your Twitter password on your Android device. In general, it’s a good idea to change your password for your apps from time to time. As Sudoku and crosswords puzzle, it makes for a good brain gymnastics to remember what was the password that you set up last week for that one app, and how it differed from the one you’ve set up two weeks ago. Remembering aside, changing the Twitter password is simple and it has little to do with the Android device itself. The Android app deployed does not have this function, but with a little ingenuity you can make Twitter ask you for a new password in no time. Step 1. Open up Twitter and, instead trying to log in, be honest and choose „Forgot password”. Step 2. If you have set your Google credentials to link with the Twitter account – just use the same address – the network falls back to Google and gets your email from there. In no time, you should be sent an email with a link to reset the password. Step 3. Open up the link. Define your new password. Choose „OK”. Result: Voila! Your Twitter account has a new password. Try to remember that one for a while.